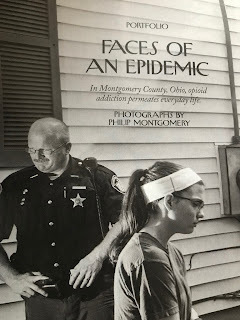 In this week's issue of The New Yorker, the “Faces of an Epidemic” were on display. You probably know which epidemic is referred to here, the opioid addiction epidemic. The article is comprised mostly of pictures from photographer Phillip Montgomery, with four paragraphs provided by essayist Margaret Talbot. 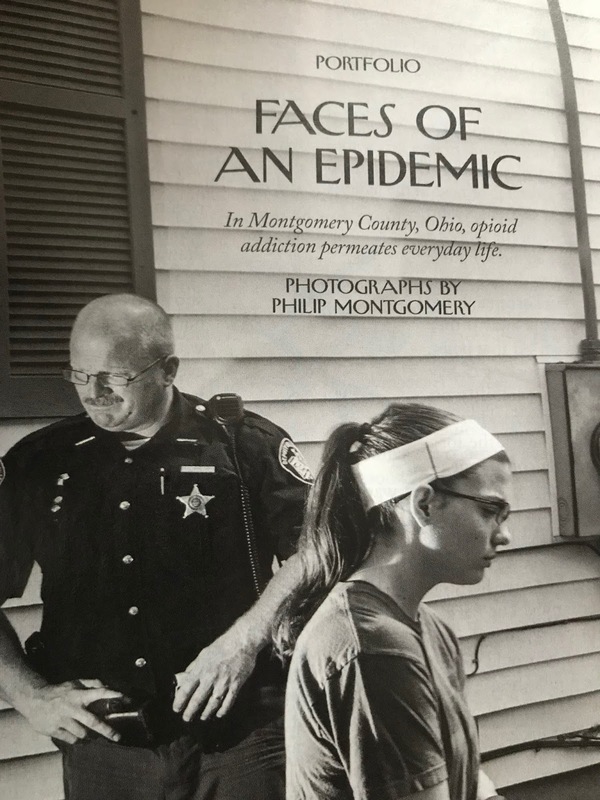 Phillip Montgomery took his camera to the front lines of the opioid crisis, small-town America. He captures solemnly the devastation wrought by opioid use disorder, the rifts it leaves in communities. Nothing is uplifting about this article, but it’s eye-opening and should be digested by as many readers as possible. With all the national attention this issue has received, there has only been limited progress. Overdoses continue to mount, addicts struggle to access treatment, and the death rate grows. Talbot points out the quietness of this tragedy and the “delayed sense of calamity.” Or, as the Montgomery County, Ohio, coroner says: it’s a “mass-casualty event,” but one played out in slow motion. and AIDS at the height of the epidemic. If you are unable to watch, please click here. Overdoses are reversible, but there is no guarantee that naloxone will work, especially when synthetic opioids are involved. The most effective way to avoid overdose is to seek addiction recovery. Those who seek help find that life in recovery is possible; they discover that living life on life’s terms is possible. Please contact Whiteside Manor to begin your journey of recovery. We will teach you skills and provide you with tools that will help you keep your disease at bay. With the help of a program of recovery, you can live a life free from drugs, alcohol, and the risk of overdose.